Top of the range Moving Coil with silver coils. 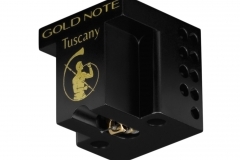 The Tuscany Gold phono cartridge features the smallest, highest precision micro-coils Gold Note has ever produced. 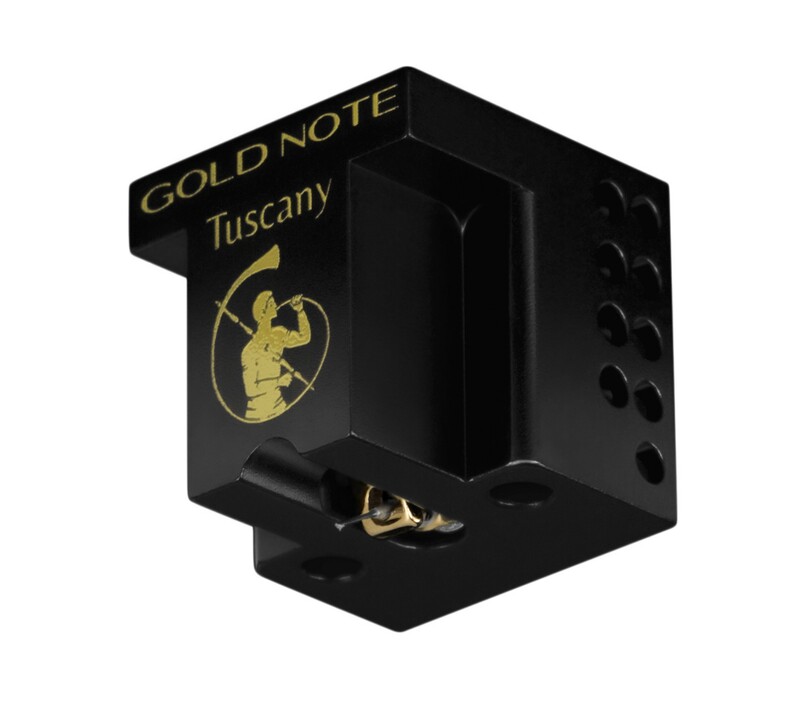 Featuring one of the shortest and stiffest cantilevers available, the Tuscany Gold is able to guarantee great tracking ability that allows the cartridge to be matched with almost any tonearm on the market. The revised body of the Tuscany Gold made of 7000 silicon alloy injected with semi-fluid polymers provides total vibration control for a top audio performance. Due to its excellent internal impedance of 40 ohm the Tuscany Gold can be easily matched with MC active phono preamps without any Step-Up transformer.